New York Times bestselling author P. J. Tracy is back with the most thrilling installment in her award-winning mystery series. Dead men tell no tales...but their pasts can't keep a secret. With no suspects and an increasing tangle of digital evidence that confounds the Minneapolis Police Department's most seasoned cops, Magozzi calls on Grace MacBride, Monkeewrench Software's founder and chief computer genius and the soon to be mother of their child together. She and her motley crew of partners begin to unravel connections between Norwood's death and an even larger plot. Norwood wasn't the first, won't be the last, and by the end, may be just one of many to die. 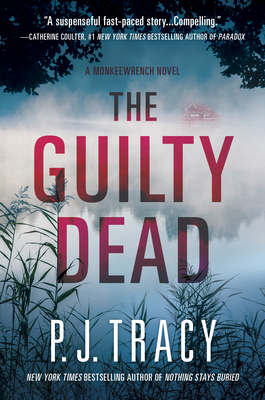 The breakneck, high stakes race to find his killer and save the lives of hundreds make P. J. Tracy's The Guilty Dead her most outstanding novel yet. P. J. Tracy was the pseudonym of mother-daughter writing team P. J. and Traci Lambrecht. Traci spent most of her childhood riding and showing horses. She graduated with a Russian Studies major from St. Olaf College in Northfield, Minnesota, where she also studied voice. Her aspirations of becoming a spy were dashed when the Cold War ended, so she began writing to finance her annoying habits of travel and singing in rock bands. Much to her mother's relief, she finally realized that the written word was her true calling. They had a long, prolific career together in multiple genres before P. J. 's passing in December 2016. Traci continues to write.